Have you ever come across a Texas snake, and couldn’t tell if it was venomous or not? This is a common concern for those who are unfamiliar with snake species. And with good reason! Bites from venomous snakes, though uncommon, can be deadly. It is more scared of you than you are of it. If a venomous snake is on your property, you can call an expert to remove and relocate the snake. Rattlesnakes are fairly common, particularly in West Texas. There are several types of rattlesnakes in Texas, but they all look fairly similar. Rattles: Each time a rattlesnake sheds, it gains a “rattle” on its tail. The sound is unmistakable, a rattlesnake shaking its tail is its way to ward off potential predators. Triangular heads: Although this should not be the only feature used to identify a venomous snake, rattlesnakes do have triangular shaped heads. 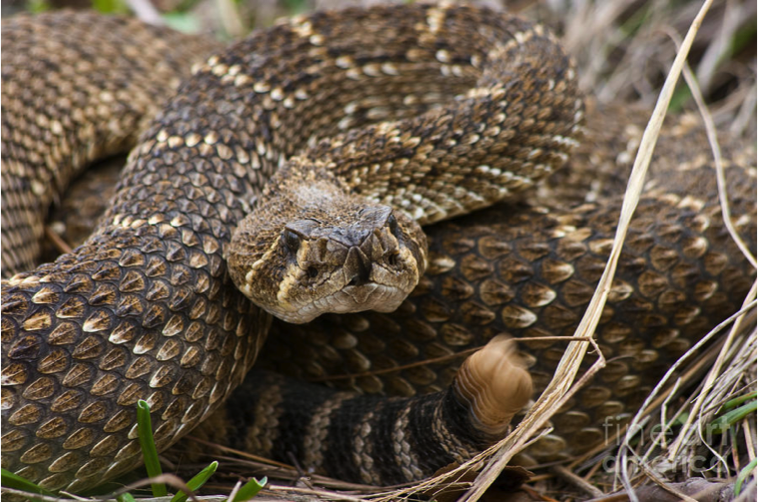 If you have dogs or horses, and live in an area where rattlesnakes are common, you may want to look into a rattlesnake vaccine. This vaccine can protect dogs and horses from the effects of rattlesnake venom. Copperheads are common in Texas, and are found throughout the majority of the state. They are not found in the Panhandle, or in far West Texas. 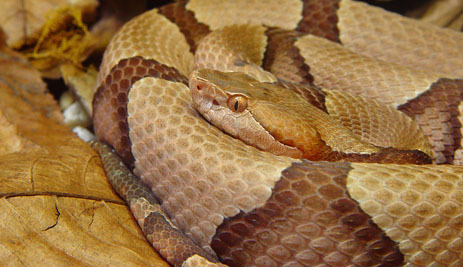 Triangular heads: Copperheads have defined triangular heads much like rattlesnakes. Again, this feature should not be used as the only identification for a venomous snake. Slit eyes: Another feature that copperheads share with rattlesnakes is their slit, cat-like eyes. Orangish color: Copperheads have orangish brown bodies with large, brown banded patterns. Green tails: Young copperheads have bright green tips on the ends of their tails. Copperheads are excellent at camouflaging themselves. Their unique color and pattern allows them to blend in among piles of leaves and logs. 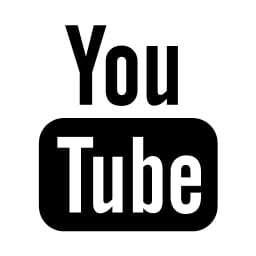 Be sure to watch kids closely in wooded areas – I can speak from experience. As a kid, I picked up a copperhead while collecting acorns. The snake did not strike or bite, luckily. Remember to teach curious kids to look out for snakes, and never to approach or play with a snake in the wild. Cottonmouths are commonly referred to as “water moccasins”. These snakes are aquatic – they swim in water and live around water. However, they are not the only aquatic snakes in Texas. In fact, we have many non-venomous water snakes that look similar to cottonmouths. Triangular heads: Just like the two snakes above, cottonmouths have distinctly triangular heads. Slit eyes: They also share the slit, cat-like eyes with the snakes above. “Cottonmouth”: The cottonmouth gets its name from its bright white mouth. It will pop its mouth open when threatened. Body: Its body is typically dark gray to black, with little markings. 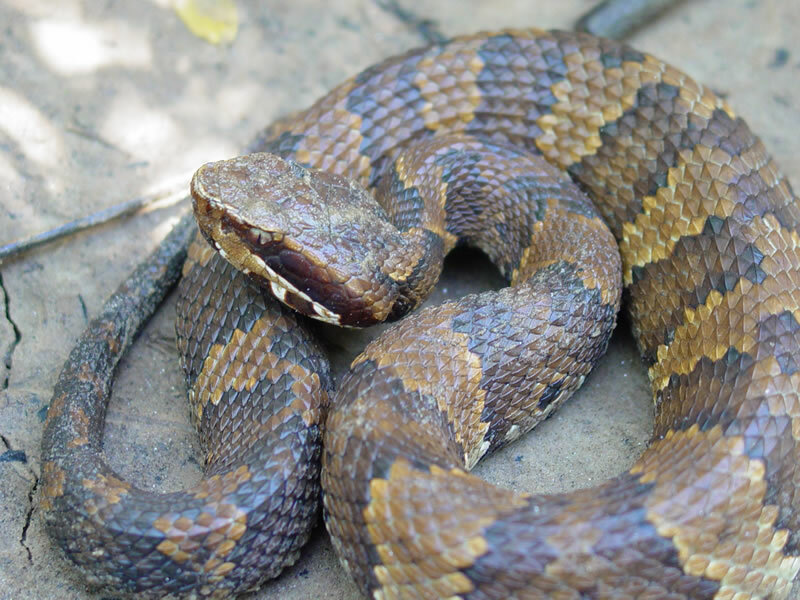 Some, like the Cottonmouth pictured, have brown and black banding down the back. It has a thick, robust body. Although these snakes may vibrate their tails when frightened, do not mistake them for a rattlesnake. Many snakes, even non-venomous ones, will use this technique to intimidate potential predators. “Red next to yellow, kills a fellow; red next to black, friend of jack”. Slim head: Unlike the other snakes above, Coral Snakes have slim bodies and heads. Just another reason to use more than triangular heads as identification! Unique coloring: Their bodies start with a black head, and are followed by red, black, and white stripes. Their pattern is black, yellow, red, yellow, black. 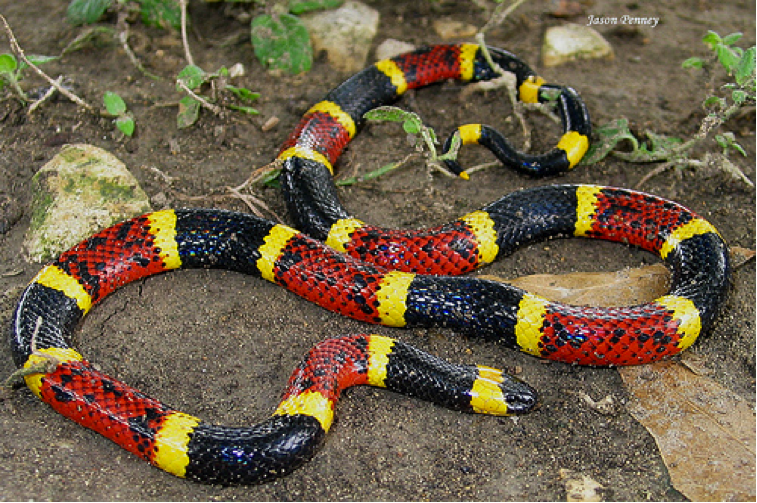 Non-venomous Milk Snakes, on the other hand, have black, yellow, black, red, black patterns.